A couple of weeks ago I had some extra cake batter from an order, so I baked two 6 inch layers, filled and frosted them, and popped them in the frig. 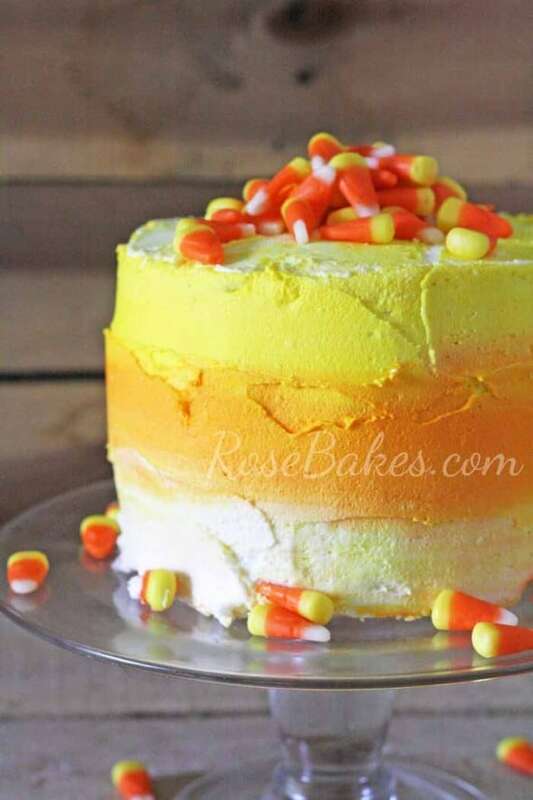 I’d been dying to make yet another candy corn themed dessert this Ombre Candy Corn cake and I could hardly wait to get started. Confession time… I just finally made it today. Procrastinate much, Rose? Confession time again… also fed it to my kids (and the kids at church tonight) and it was still delicious. 😀 Whoop-Whoop! I didn’t say both layers were the same flavor did I? The top was dark chocolate and the bottom was vanilla. 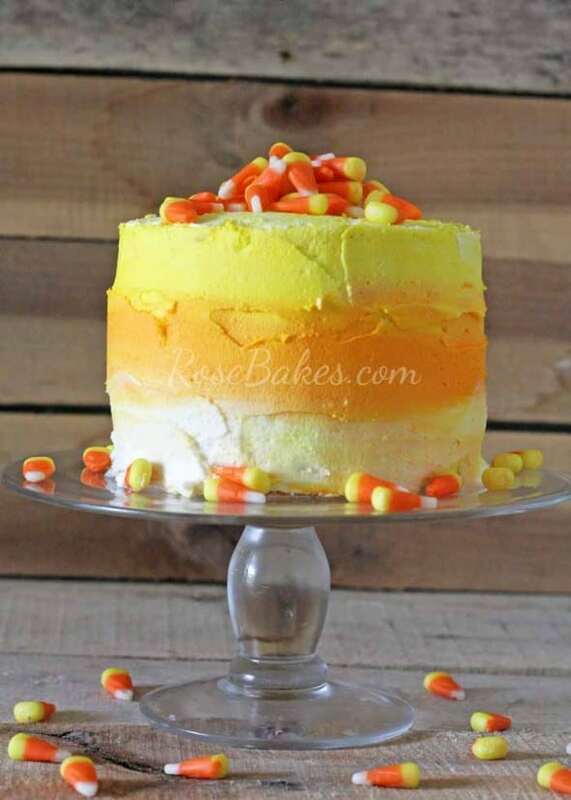 I love making cakes like this with two flavors… I’ve done chocolate and vanilla a few times. I’ve also done white cake with strawberry… mmmmm! I knew this idea would be easy to pull together and it literally took me less than 10 minutes to go from crumb-coated cake to finished. That includes snapping pics of the steps! 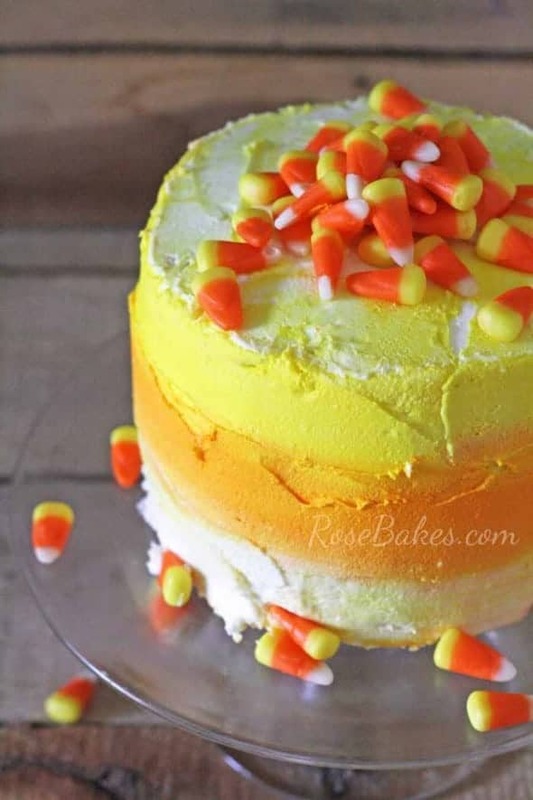 I fully admit that this cake is not super perfect but I’m okay with that… it was meant to be fun and easy and fast! The only “tools” I used to decorate this cake was an Ateco #808 large round tip (from this Ateco large tube set) and a 9″ off-set spatula. But really, you could get by with just a butter knife if you had to! 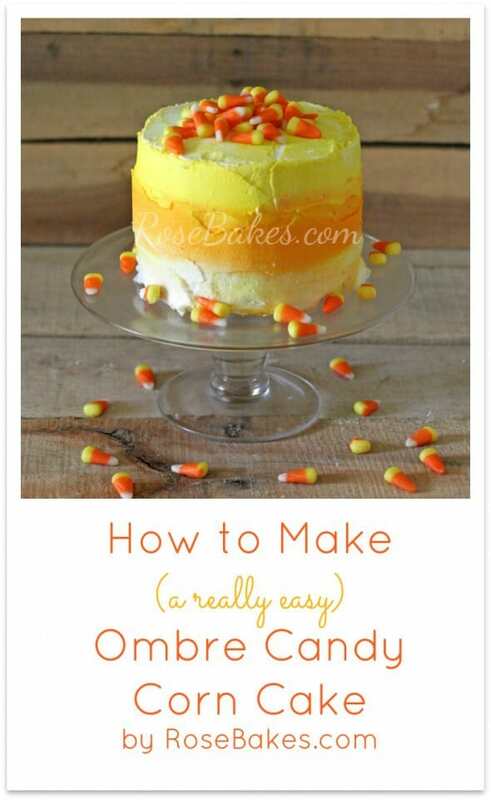 After smearing all the sides, I smoothed down the top and piled on some candy corn and called it a day! 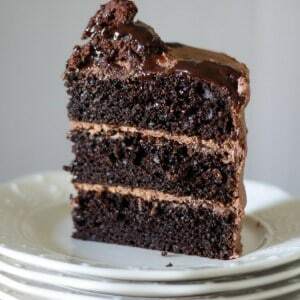 Or a cake? Ha. What do you think? 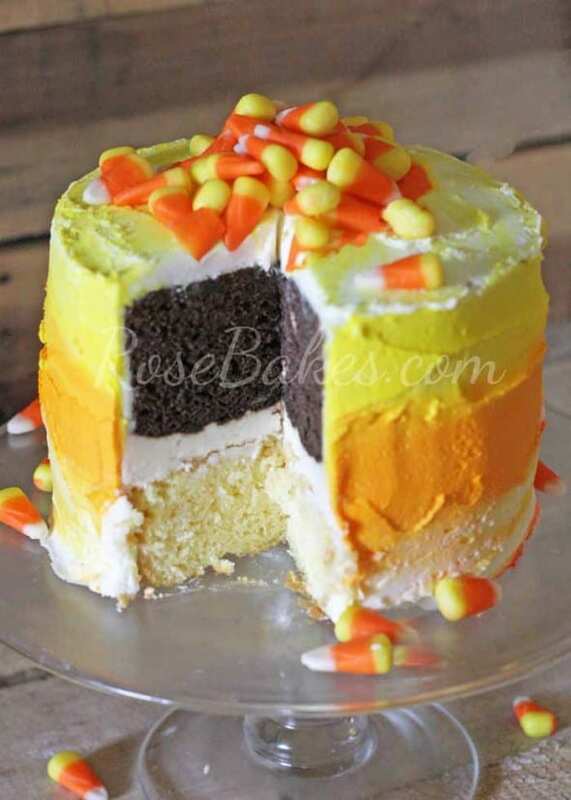 Is this a cake you could/would make? Do you have any questions?